I recently received an email from my younger sister, Ann. Ann served the people of Ecuador for a year and a half through a church mission when she was 21. She learned to love the people of Ecuador and made life-long memories while serving. The devastation Ecuador has recently seen from the 7.8 magnitude earthquake Saturday is heartbreaking. People who hardly had anything to begin with, now have nothing. With 570 dead, 155 still missing, and over 7,000 injured, the whole country is hurting. Ann's friend happens to be going to Ecuador on Monday to provide any help she can offer to those 25,000 in shelters without a house to go home to. 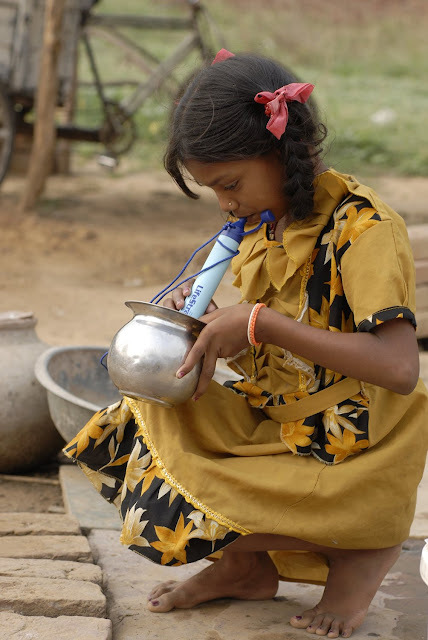 She was told that the most critical thing at the moment is clean water. Obviously she can't take enough carry-ons full of water to make a difference, but they recommended bringing straws that act like filters called Life Straws. These can be handed out without worry that the water they drink will make them sick and wreak even more havoc. Originally, she was having people purchase them through Amazon and send them to her address to take, but she contacted eartheasy.com and they are now going to be able purchase them at wholesale price to get as many as possible to the humble people of Ecuador. You can send her a donation through paypal and she will purchase as many straws she is able to through that channel. It's a small and simple thing that just might make all the difference to one person across the world! This is a great idea, a very practical way to help.